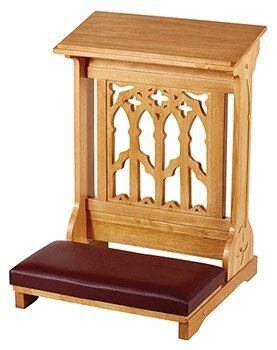 The Canterbury line of beautifully hand-crafted hardwood furniture is reminiscent of Old World craftsmanship with exceptional design and a functional purpose in mind. 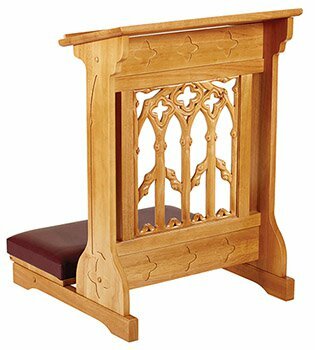 Each piece of furniture is made from 100% hardwood and shipped in well-protected packaging all at unbelievable and extremely affordable prices. Choose from Kneeler, Side Chair and Celebrant Chair.